Crystal Villas is an exclusive new boutique villa project development in the south of Phuket which comprises just five luxurious two-bedroom villas, all of which are designed and constructed to the highest standards. 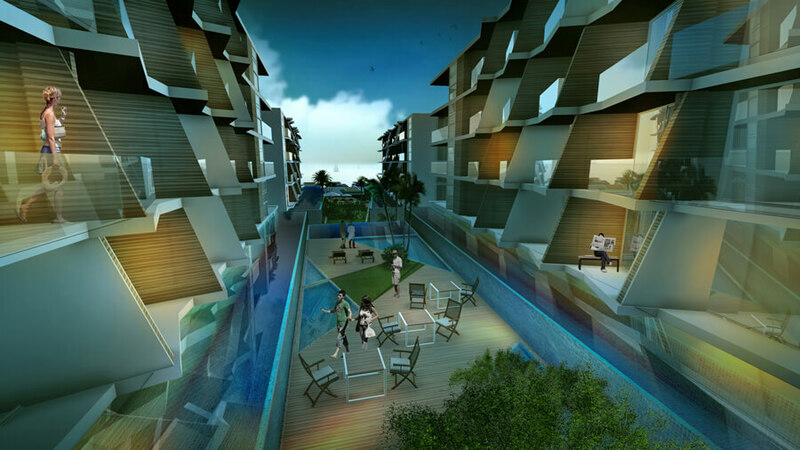 With the project containing so few properties, Crystal Villas is the ideal project for anyone looking for the ultimate in tranquility and quietness, while still benefiting from the security offered by living in a gated and fully-secured private community. 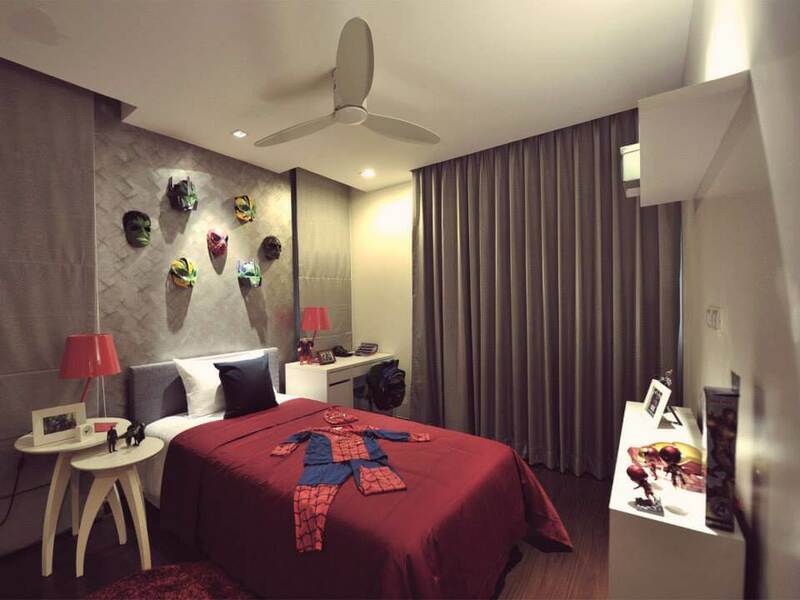 Despite the highly exclusive nature of the project, prices at Crystal Villa are surprisingly affordable, starting at just THB 7.5 million. 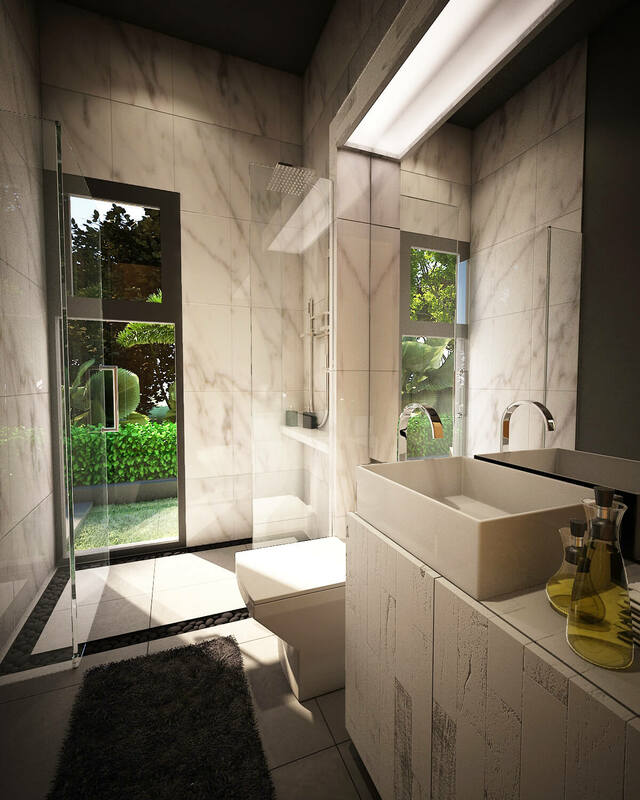 The development is located in the Nai Harn/Rawai area of Phuket, just minutes away by car from the beautiful unspoiled beaches in the south of the island. In addition to the beaches, there is also a wide range of facilities close by, including several 7-Eleven convenience stores, shops, bars and restaurants. The largest shopping mall on the island is just 15 minutes’ drive from here, as are some of the best international schools and hospitals on the island. All of the five villas available on the project contain two-bedrooms and two bathrooms and are available in two different sizes. 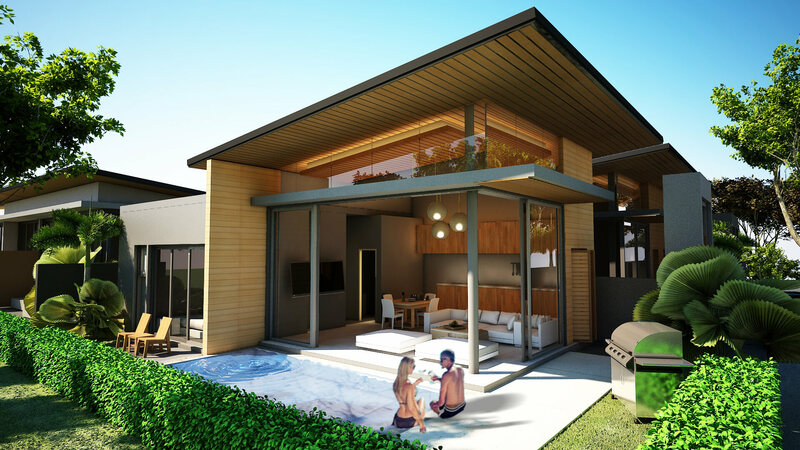 The smaller of the two options contains 88m2 of internal space on a plot size of 180-190m2, while the larger-sized villas contain 110m2 of internal space and are built on plots of 357 or 365m2. For those with larger families who require more than two bedrooms, there is an option to add a third bedroom at an additional cost. The homes at Crystal Villas are all single-storey and contain high ceilings – over 5m high throughout the villa and 6m high in the living area. 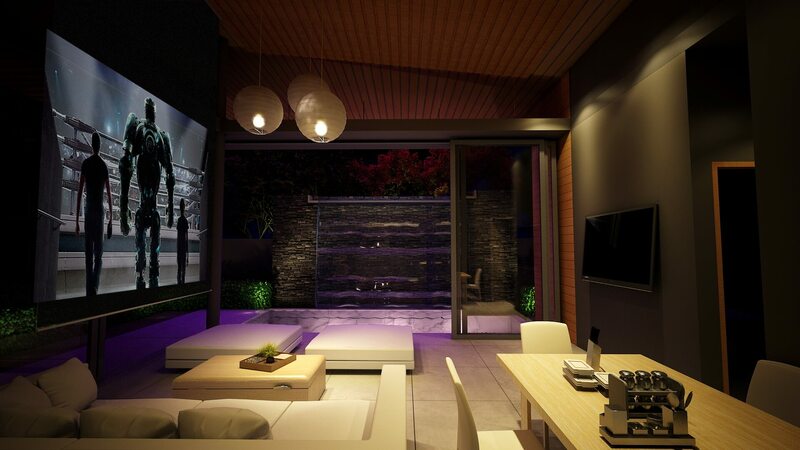 The patio area is reached through tall sliding doors 3.5m in height. 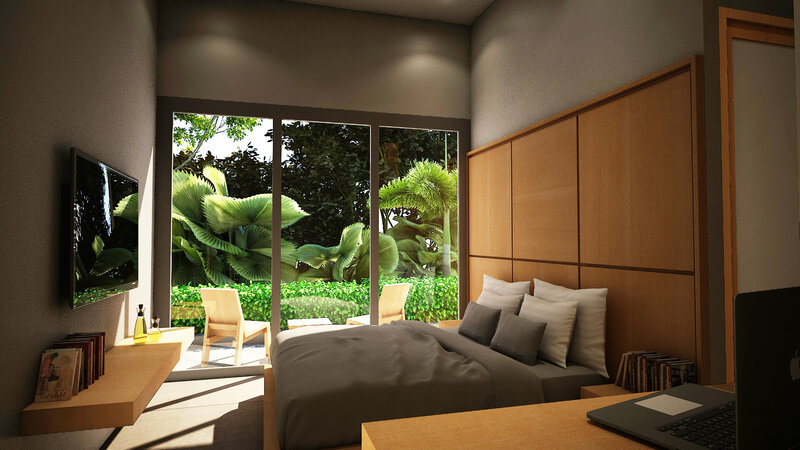 The villas are constructed using the highest standards of internal fixtures and fittings with extensive use of luxurious materials throughout, including teak wood built-in wardrobes. All villass come with the latest ‘smart home’ technology installed, including wifi networking and a home theatre sound system. The villas come with airconditioning and a fully fitted kitchen as standard, together with all bathroom fittings. 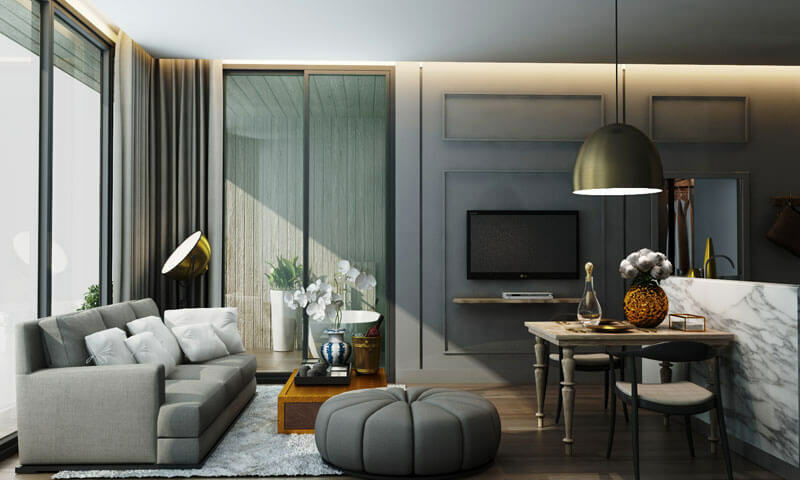 Two different styles of optional furniture packages are available for those who prefer to purchase their properties on a fully furnished basis, priced at THB 750-800,000. The five villas all feature large private salt water pools together with a jacuzzi area and waterfall feature, for the ultimate in luxurious outdoor living. Within the landscaped grounds of each villa, there is a private parking space included with each villa and the gates to the property open using remote control. The properties are further secured with a full alarm system and an entryphone system.